Sarath M. Mohotti is recognised as the leader of Kataragama's firewalkers. He is also an ardent devotee of Kataragama Deviyo. Above: "I don't walk on embers as others do. I walk through burning flames as part of the ritual. Then others follow me." Below: At the conclusion of Gini Sisila, Mohotti bathes himself with hot milk as an offering of thanks to Goddess Pattini. Since the age of eight, Sarath M. Mohotti has been following in the footsteps of his father Martin Mohotti, who was the first Sinhalese to perform the fire-walking ritual at Kataragama. Today Sarath Mohotti is recognised as the leader of Kataragama's firewalkers and as Sri Lanka's leading exponent of fire-walking. He is also an ardent devotee of Kataragama Deviyo. During the festival season Kavadi dancers perform their vows to the rhythmic beat of drums, cymbals and nagasalams. The air fills with the fumes from the burning of incense and fire pervades the night atmosphere with cries of Haro Hara. Some devotees dangle themselves from ropes to fulfill their vows with hooks piercing their skin. Devotees silently make their obeisance to the deity presiding over the sylvan domain by the side of the Menik Ganga. 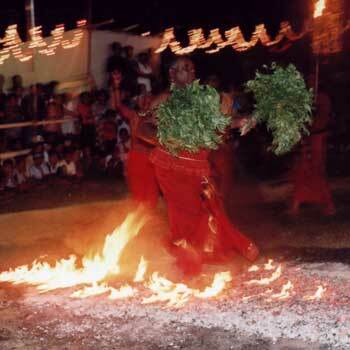 Fire walking is a fascinating ritual performed by devotees at Kataragama at its annual religious festival. Sarath M. Mohotti, who has a deep and abiding in Kataragama Deviyo, annually engages in fire walking in the sacred precincts of Kataragama. Sarath as a child watched his father Martin Mohotti performing on fire. Inspired by the religious ritual indulged in by his parent he decided to emulate him. The annual fire walking ceremony begins with offering to the deity to the accompaniment of mantras. "The devotees watch with much attention when I begin the walk on the embers with paraffin thrown in as I walk" said Sarath Mohotti, explaining his art of fire walking.  My father was the first Sinhalese to perform this ritual at Kataragama. I was trained by him when I was eight years old, he said. "I start walking when mantras are recited. I don't walk on embers as others do. I walk through burning flames as part of the ritual. Then others follow me." He also performs Gini Sisila, a dance dedicated to Goddess Pattini to invoke her blessings on the people, by taking the flames into his mouth. At the conclusion of this ritual he bathes himself with hot milk as an offering of thanks to Goddess Pattini. Afterwards he pierces his body with hooks and suspends himself with ropes. "The smoldering red hot embers do not burn or cause bodily injuries. 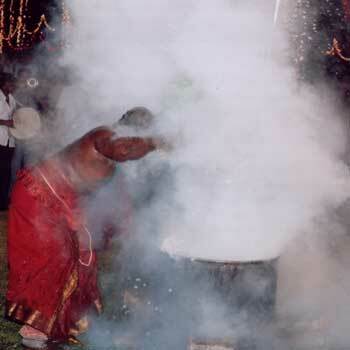 These traditional practices create wonder and spiritual belief in the supernatural. "The pulsating rhythmic beat of the drums and haunting melody of the Nadaswaram fill the air and take one into a world of spirituality. "The beat of the drums, dancing and cries of Haro Hara fill the sacred area. Those watching the ritual with utmost religious fervour hope to reach the realm of gods." What is the secret of this hallowed place of worship? 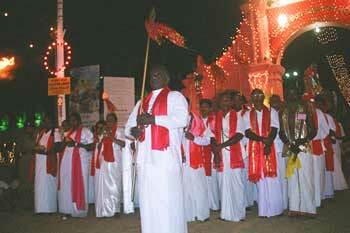 Mohotti said, "Faith in Kataragama Deviyo." Sarath M. Mohotti, chief among the fire-walkers at the annual Kataragama Esala festival, has been involved in the strenuous vow of fire-walking since 1968 when he was initiated by his father Mr. M.M. 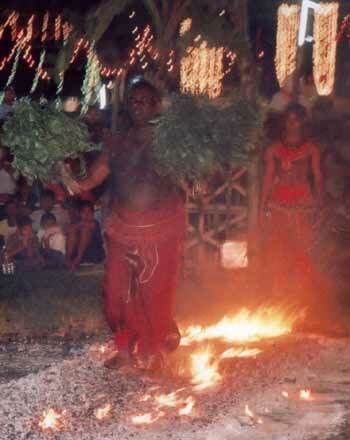 Mohotti, who himself was a fire-walker since 1941 and the leader of Sri Lanka's fire-walkers until his death in 1992. M.M. Mohotti was acknowledged as Sri Lanka's foremost exponent of fire-walking at least since the mid-1960s when his story and exploits were featured prominently in the April 1966 issue of National Geographic magazine. Sarath Mohotti has since inherited his father's position as Sri Lanka's chief fire-walker. Mr. Mohotti's exceptional abilities have been acknowledged and documented in Sri Lanka's leading Sinhala and English newspapers. Television appearances and interviews with Mr. Mohotti appear regularly on Sri Lanka's television networks. Mr. Mohotti not only performs the extraordinary rite, but is also its most vigorous exponent in Sri Lanka and, increasingly, around the world. Since 1979 he has conducted public fire-walking rites abroad by invitation in Indonesia (1979), Japan (1990), Dubai (1991), Pakistan (2000) and India (2001). In recognition of Mr. Mohotti's lifetime achievements, the Ministry of Cultural Affairs of Sri Lanka in 2002 has cited Mr. Mohotti as a National Treasure. This article by D.B. Kappagoda appeared in The Sunday Observer (Colombo) in 1994. "Lankan Fire Walker wins International Prestige"